In a society where becoming a mother is naturalized, “unbecoming” a mother—the process of coming to live apart from biological children—is regarded as unnatural, improper, or even contemptible. Few mothers are more stigmatized than those who are perceived as having given up, surrendered, or abandoned their birth children. Unbecoming Mothers: The Social Production of Maternal Absence examines this phenomenon within the social and historical context of parenting in Canada, Australia, Britain, and the United States, with critical observations from social workers, policymakers, and historians. This unique book offers insights from the perspectives of children on the outside looking in and the lived experiences of women on the inside looking out. Unbecoming Mothers: The Social Production of Maternal Absence explores how gender, race, class, and other social agents affect the ways women negotiate their lives apart from their children and how they attempt to recreate their identities and family structures. An interdisciplinary, international collection of academics, community workers, and mothers draws upon sources as diverse as archival records, a therapist’s interview, a dance script, and the class presentation of a student to offer refreshing insights on maternal absence that are innovative, accessible, and inspiring. 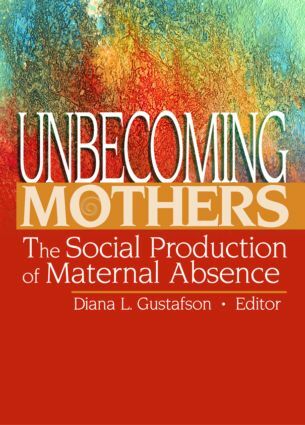 Unbecoming Mothers: The Social Production of Maternal Absence is a rich, multidisciplinary resource for academics working in women’s studies, psychology, sociology, history, and any health-related fields, and for policymakers, social workers, and other community workers.